Specs and pricing have been released for the refreshed 2018 Mustang GT (see full specs and pricing). Power has been bumped +25 hp / +20 lb-ft and 0-60 is now a claimed sub-4 seconds (when equipped with newly available Drag Strip mode). 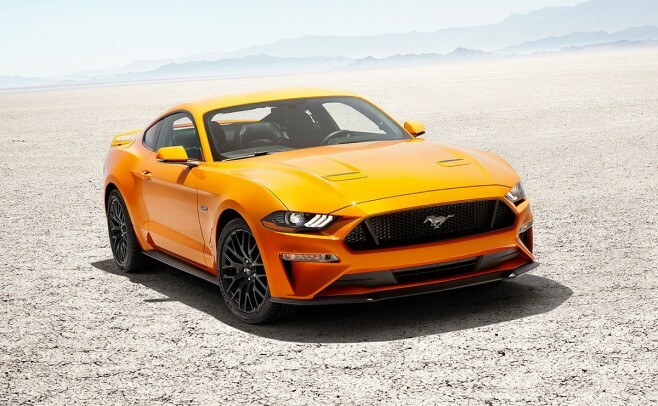 However, pricing has also been bumped up over the 2017 model, and a highly spec’d 2018 Mustang now costs significantly more than a Camaro SS with similar equipment. Since numbers on paper don’t tell the whole story, it remains to be seen how the 2018 Mustang GT compares against the Camaro SS in real world testing. Join in on the discussions inside.